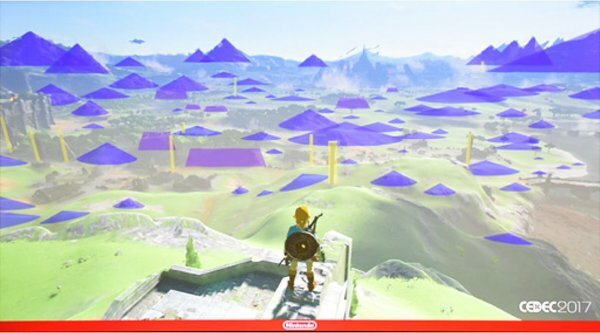 Zelda: Breath of the Wild was the biggest game Nintendo ever created, which means there were many more opportunities for the dev team to get mixed up. They also wanted to make sure they made an experience which was fun the whole way through, rather than being a massive game with lots of spots where there's nothing to do. If you want some insight into how the team kept everything straight, you can check out the series of tweets below. It's an English breakdown of some of the details Nintendo shared at the Computer Entertainment Developers Conference. It's a deeper look at the game's creation than we've ever seen before. You're about to be hit with a wall of tweets, so be prepared when you hit the jump! It was apparently a great way for multiple devs to bounce ideas off of each other in regards to the task. From a field design standpoint they discuss the "Triangle Rule". towers throughout the map, and place game events in between, but they found that approach didn't feel appealing to players. They realized they could solve these problems with the concept they called "gravity"
All this beautiful information delivered on the worst possible format. Make a video or an actual article rather than using Twitter. Man, there is so much thought put into games that I don&apos;t even realise. This is so brillant. Awesome.